We’re now deep into production on the new Aikido Journal and wanted to provide the community with a pre-launch update. Email is now online: All Aikido Journal email addresses are now active. If you have a support issue or just want to say hi, you can email us here. If you sent an email to Aikido Journal between February and October of this year but didn’t get a response, please email us again now. We’re now able to receive messages and respond. Legacy systems online: A number of community members had trouble accessing the members site and other streaming products after Stan passed away. We’ve now been able to get access to all key systems, fix the problems, and get those products back online. If you still have trouble accessing your paid content, please let us know. Launch Date: In our last post, “The Reboot Begins,” we were targeting a launch date of November 20, 2017 for AikidoJournal.TV and December 20, 2017 for the new AikidoJournal.com website. I’m very pleased to announce that we’ve been able to move up the launch window and we’re ready to launch both AikidoJournal.TV and the new AikidoJournal.com by the end of this month. Our team’s collective problem-solving capabilities and the will to put a ton of time into the project have allowed us to accelerate our progress significantly. Release Content: We’ve been able to transfer all of the articles and interviews successfully from Aikido Journal’s public and restricted members site into our new platform. I was stunned by the sheer volume of content we pulled into the new site. However, we discovered that every article needed to be cleaned up in some way. We’re building a workflow pipeline to clean up and publish this content, but it will take time to make it happen for the thousands of articles in our collection. Because so much of the content and people featured in these stories are truly epic, we really want to make sure we do each story justice by presenting it in a polished and compelling format. We’ll be releasing both the website and the streaming video service with a strong, critical mass of content and will then continue to roll out more content on a regular basis as the articles and videos are cleaned up, tagged, and linked contextually with other articles and videos. Initial content on the new website will include a selection of articles from both the public site and the members site. Launch content will include previously restricted interviews with Doshu Kisshomaru Ueshiba, Saito Sensei, a famous sumo wrestler that trained intensively with O-Sensei for a period of 70 days in the 1930s, Professor Rorion Gracie, and a number of others. We think you’ll find these stories fascinating. Members Site Subscribers: If you’re a current subscriber to the members site and want to retain complete access to its content library, please keep your subscription in place for now. Our current plan is to keep the legacy members site online for active subscribers until we’re able to get the vast majority of the currently restricted members’ content available on the new site. We sincerely appreciate your continued support. Without you, this vast library of knowledge would never have been created. Ben is responsible for coordinating support responses, monitoring our social media channels, and routing incoming community requests or feedback. He’s been relentlessly cleaning articles, adding links and tags to our release content, and testing key systems. Setsuko is the interim “Guardian of the Archive.” She has access to, and has familiarized herself with the Aikido Journal digital archive. She’s been pulling images and data from the archive to supplement and enhance our launch content, as well as translating key videos and texts from Japanese to English. We’ve also begun putting the archive to work. I’ve given Setsuko authorization to grant selective access to portions of the archive to prominent researchers in the aikido world, including Peter Goldsbury, Ellis Amdur, and Christoper Li. We hope they will be able to build meaningful new projects on the information contained in the archives and will create valuable insights we can, in turn, share with the community. Setsuko is testing for her shodan this coming Saturday. Ray is a user experience designer at Blizzard Entertainment and has crafted interfaces both for Blizzard’s games and websites – used by tens of millions of fanatical and demanding fans. Ray has provided us with invaluable guidance through our design process. He has saved us countless hours that would have otherwise been wasted making mistakes. He’s unquestionably helped us create a better user experience for the new Aikido Journal. In addition to his formidable UX and design skills, Ray can move pretty well with both a sword and tanto. Mario, one of the two remote members of our launch team, resides in Buenos Aires. As a professional graphic designer and art director, as well as a passionate aikidoka, he’s contributed his time and expertise to update the Aikido Journal logo and our associated identity design elements. Dave manages our server and web infrastructure. He’s also been able to get excellent system design tips from Ed Patterson, a member of the community with deep expertise in online security and network architecture. Unquestionably, Aikido Journal would not be alive today were it not for Joshua Hansen. As a long time friend and technical advisor to Stanley Pranin, Joshua has been instrumental in our successful efforts to regain access to an array of legacy systems and migrate content over to our new platform. We sincerely thank you, the community, for your continued guidance, patience, and support. We look forward to sharing the results of our collective efforts when we relaunch near the end of October. We hope you’ll be proud of your new Aikido Journal. Brilliant! Thank you so much for all the hard work everyone is committing to this project. I’m totally excited about the whole thing, I can’t wait for it to happen! 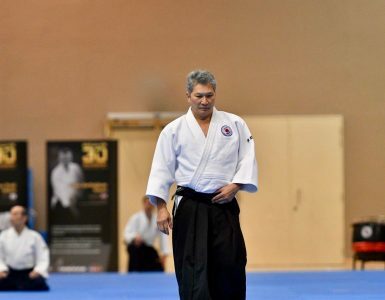 What a credit to the Aikido community! From myself and I feel free to say, the whole Aikido community, thank you for your tireless effort and continued work in getting the Aikido Journal running smoothly again. I will miss my conversations with Stan but it’s comforting to know that his legacy remains for all to share. I read everything that Stanley made available from the beginning. I am delighted that his legacy will live on. Congratulations and thank you. ARE YOU PRINTING A MONTHLY MAGAZINE ALSO ? ( I HOPE ) . HOW ABOUT PUBLISHING SOME BOOKS OF AIKIDO JOURNAL ARTICLES IN SEVERAL VOLUMES ie . vol.1 -2-3-4 etc. !!!! Thank you very much. It is a great efforts. Thank you very much. It is a great efforts. This is a great idea to continue the Pranin’s work. What an amazing team of dedicated folks!! Thank you all for your hard work! Congratulations on assembling a stellar team and on the great work you have performed. 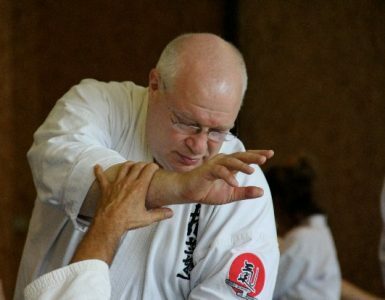 You’ll surely keep Sensei Pranin’s legacy for future generations. Josh: Awesome team and introductions. Keep the legacy going – Stanley would be proud. You are an amazing team and truly honour Stanley Pranin and his legacy. 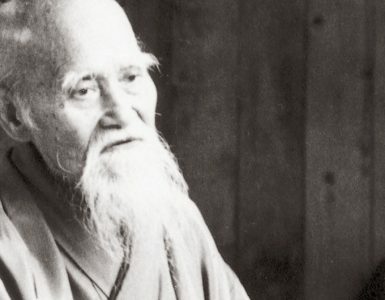 Your actions speak wonders to your commitment to Aikido’s philosophy and its community … you are walking the path! Thank you for your kind words. We are looking forward to launching the new Aikido Journal soon! Thank you for continuing Stanley Pranin journey. Wish you guys the very best and you have our fullest support. Blessing!!! Thanks to all of you for continuing the legacy of Stanley Pranin; I have not logged into my account since his passing, but it is good to know that the paid content is still available. Please keep up the good work, and i look forward to your efforts. Congratulations on the great work and thanks for maintaining this legacy! You have been busy! It’s great to know that Stan’s hard work won’t be lost, but will actually be added to by the team. Thank you all for your brilliant efforts!